Sridevi’s elder daughter, Jahnvi Kapoor is gearing up for her acting debut, but she has rejected the offer of a Telugu blockbuster opposite Mahesh Babu, it is learnt. The youngster has made up her mind about taking acting as a career and is currently attending acting school in the US, but she seems to be in no haste. It is said that there is no dearth of offers for the 18-year-old Jhanvi. Jhanvi was slated to play the main role opposite Telugu star Mahesh Babu in the movie that was to be directed by A.R. Murugadoss. It is said that initially Sridevi and Boney Kapoor were interested in the project for her daughter. Sridevi too had been associated with the Telugu film industry since her early days. Nevertheless, it was Karan Johar, who will succeed in launching Jhanvi in Bollywood. Babu’s proposed venture had already faced a crisis when another star Parineeti Chopra rejected the project due to her clashing times. Janhvi’s debut in Karan Johar production, on the other hand has already created a lot of stir in the circle. The star kid is already making headlines for her a unique photo shoot for a magazine. Janhvi was also interviewed by Karan Johar for the same. Johar’s “Dhadak”, featuring Shahid Kapoor’s brother Ishaan Khatter and Janhvi Kapoor, will be releasing on July 20, in pan India release. 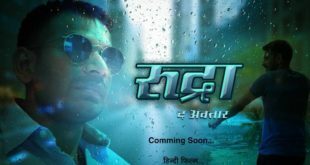 Karan is backing the film, which is an based on the famous Marathi film “Sairat”, through his Dharma Productions. Karan Johar at the time and again has said that he considers Janhvi a pro in handling herself. He opined that it’s heart-breaking and endearing that Janhvi constantly keeps talking about her mother. Karan says that it is just the debut of Janhvi and she has a long long way to go. Reports have it that after Sridevi’s sudden death Karan Johar has ensured that the shoot of ‘Dhadak’ was a smooth ride for Janhvi. A source had revealed that Karan Johar was pretty close to Sridevi and he understands that Janhvi is not in a position to work till now. 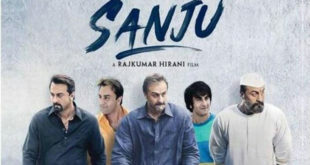 Karan had already asked his team to take easy with Janhvi after Sridevi’s departure. Some people say that Boney would want to make a grand announcement about their daughter’s debut, in Tollywood, at a later time. Jhanvi too is currently busy in her acting classes at Lee Strasberg Theatre & Film Institute in Los Angeles, USA. 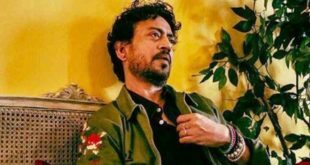 Irrfan Khan Health Update: Battling endocrine cancer, how rare it is?